. يقدم Byron Motor Lodge Motel خدمات لا غبار عليها وكل أشكال اللياقة وحسن الضيافة اللازمة لإسعاد ضيوفه. إن واي فاي مجاني في جميع الغرف, تخزين الأمتعة, واي فاي في المناطق العامة, صف السيارات, غرفة عائلية هي جزء فقط من الخدمات التي تميز Byron Motor Lodge Motel عن باقي الفنادق في المدينة. بالإضافة لهذا,تتضمن كل غرف الضيوف مجموعة واسعة من وسائل الراحة . بعض الغرف توفر حتى غرف لغير المدخنين, مكيف هواء, تدفئة, مكتب, ساعة منبه لإرضاء أكثر الضيوف تطلباً. يمكنك الاستمتاع بالأجواء المريحة التي تقدمها حمام سباحة خارجي, حديقة طوال النهار. استمتع بخدمات لا يعلى عليها وعنوان ذو اعتبار في Byron Motor Lodge Motel . It may be the way things are in Byron Bay, however if that is the general standard of the accommodation in those parts, we would holiday elsewhere. Unfortunately some people do expect 5 star luxury accommodation for the 3 star price tag. The Motel was old and a little drab but very clean with only basic facilities. WiFi wasn't offered immediately, I had to ask for it and the customer information needed updating. Staff were very friendly and welcoming. Well located to all town facilities but very noisy at night. Great location walking distance to town and beach. Very clean and comfortable, will stay again when in town. This motel is only small, so no pool or fancy features, but it is in a fantastic spot and is very clean. Beds were very comfortable and room was of a great size and very clean. Rather over priced for what it was, but that is Byron Bay! Staff was very friendly and nice also. Noise from main club, staff not helpful, happy to take your $50 to get into room after 10pm. But we had people partying in room next to us until 2am, rang owner did nothing about it, would enforce his own rules for staying at motel. Was more annoyed at being woken up. You can here the music from main club all night and into early morning. Not worth money you pay. There is lingering smell of sewage or waste tanks. Won't be staying here again!! Fine motel that is excellent value for money. Excellent central location. Amenities as advertised. Complimentary pool and beach towel service. Whenever I'm headed to Byron for a big night out and need a clean and tidy motel to stay at for a good price this is the place I book in here. Close to the action but still quiet enough for my recovery in the morning. Double thumbs up. Location was great but the room was very dated and very overpriced for what it was. I wouldn't recommend anyone to stay here at the price we were charged for one night. A bit dated but has everything you need, great location! Great location - walk everywhere .. compared top other Byron prices it's a good deal .. I'll be Baaaak ..
Enjoyable, room very dated needs upgrading!! Felt ripped off.as its not 4 star at all.More like a. cheap 1star hotel if that.owners rude and arguementive when we complained. the manager no. 1 was super nice. Her husband manager no. 2 was very rude and argumentative. Wanted to fight us. Ruined what would ls have been an ok stay if over priced. 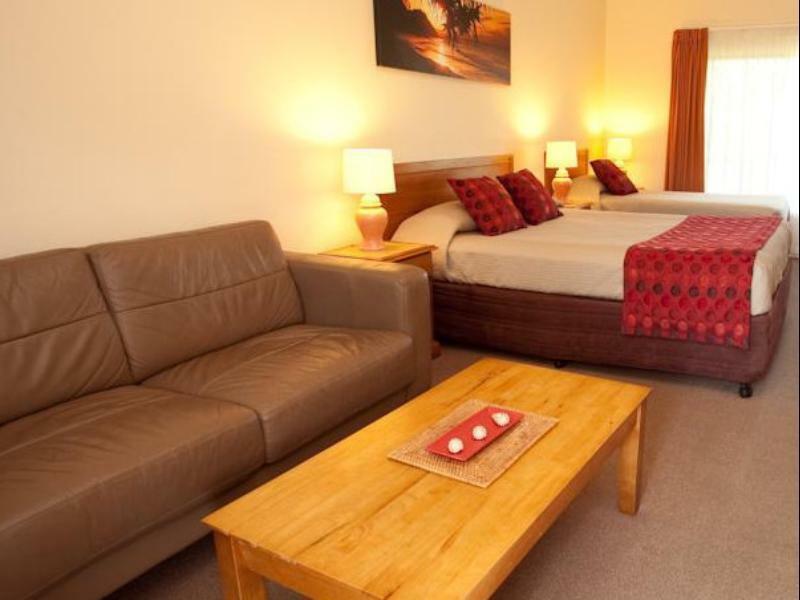 This motel has a good location which is just at the entrance of town centre. 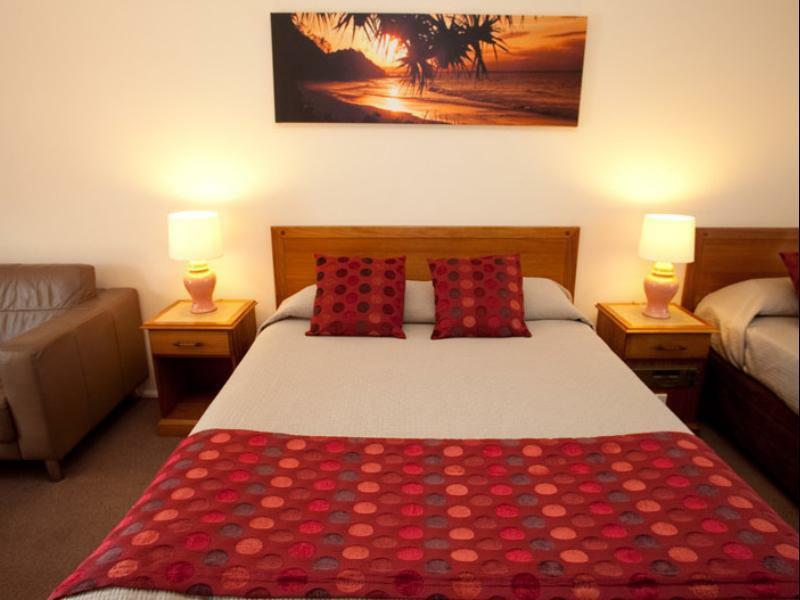 From this motel to town centre and main beach just around 3 minute walking distance. Room is big and clean, the beds are very comfortable. However, the soundproof of this motel is very bad. You can hear anything from outside and next door, so, I was waken by my people's talking and walking of next door at 6 in the morning..
we stayed at the motel for 2 nights, although we booked only for 1 night because we loved byron bay. 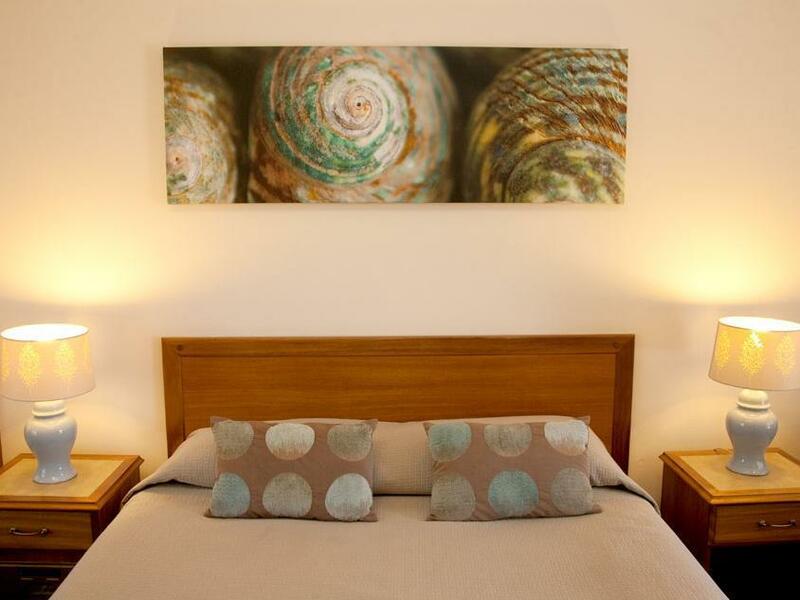 as far as the motel is concerned, it is located just outside the centre, which we found convenient because quieter, with just 3 mins walking distance either from the beach or from the center itself. the motel is just a standard motel, but we find it quite expensive for what it offers. if you can, try to get a room close to reception, which is away from the main road and therefore even quieter. sightseeing tip: make sure you take the time to walk from the main beach up to the lighthouse. if you can, do it around 7 in the morning. the path is fantastic, you pass more beaches and you have high chances to see dolphins. the views from this path are excellent. The motel was tired, there was some health and safety issues with electrical appliances. ie key tag switch and the TV ariel. The staff however were very friendly and charming.